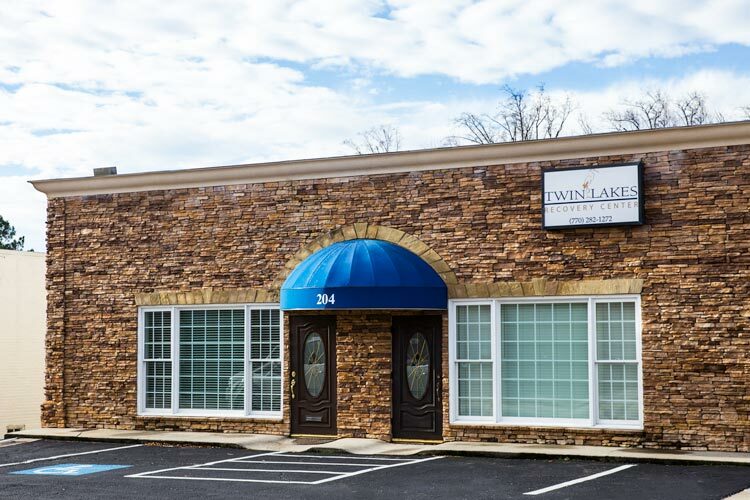 Twin Lakes Recovery Center’s Intensive Outpatient Program (IOP) is offered in our Gainesville and Athens locations. TLRC IOP is a 12-week program. During those 12 weeks, clients will meet in a group setting three times a week for three hours. Clients will engage in group therapy that includes several modalities such as Cognitive Behavioral Therapy, Solution Focused Therapy, and components of Dialectical Behavior Therapy. Clients will meet with licensed master’s-level clinicians that have experience working with chemical dependence and abuse. Clients will be challenged to be honest. Our IOP includes education about healthy ways to overcome triggers, overcome negative thought patterns, and increase self-compassion. We aim to explore the obstacles that often make recovery more difficult to obtain and discover practical ways of overcoming these obstacles. Long-term sobriety requires both a strong support network and ongoing personal growth. At TLRC’s IOP, we help individuals develop the skills to foster healthy relationships and improve decision-making abilities. Our outpatient program advances recovery through proven therapies for coping with cravings, compulsiveness, anger, resentment, stress and other triggers. We offer small group sizes, individual sessions, and drug screenings when needed. Twin Lakes does require the client to be clean or sober prior to starting the program. Our IOP differs from our detoxification and residential programs. Intensive Outpatient allows an individual to stay at home while still maintaining a strong source of therapeutic and accountability support. IOP allows clients to rebuild their lives while still being able to work, parent, go to school, etc. Twin Lakes offers individual and family counseling as needed. Our Intensive Outpatient Program is a great aftercare option to medical detox, and is often an essential element of aftercare. Our IOP provides therapy, explores the roots of addiction, and teaches tools to combat relapse. Twin Lakes IOP provides a basis on which a firm sobriety can be accessed. Each client should expect to receive compassionate care and practical tools for developing a happy and healthy life, free from drugs and alcohol.